Blending into the landscape while maintaining superb sound quality can be challenging. Soundscapes has selected some of the finest brands in this category to accomplish this. Home Control can be as simple as using your phone to turn up the heat before you com﻿e home﻿ to a cold house. 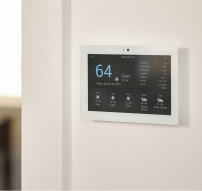 It can extend to complete automation in your home that is based on time of day, movement through the house or simple button presses. From driveway sensors to motion detectors, home control can simplify things. Not all TV installations are the same. Often we are asked why we don't just drop the cable out of the bottom of the TV. Simply put; it looks terrible. We provide neat and professional TV installations. No hanging wires, no tilting your head to compensate for a crooked installation. 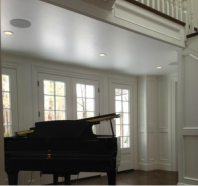 Integrating speakers into a home will tie the whole scene together. From hiding powerful sound systems to displaying your most beloved tech, our goal is to make every set up special, one-of-a-kind, and most importantly, as best sounding as possible. Have a specific custom idea in mind? We can help bring those dreams to life! 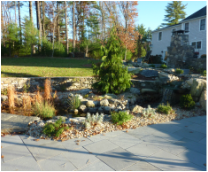 Our experience with custom installation, innovation, and resourcefulness guarantees that we will go above and beyond all expectations.